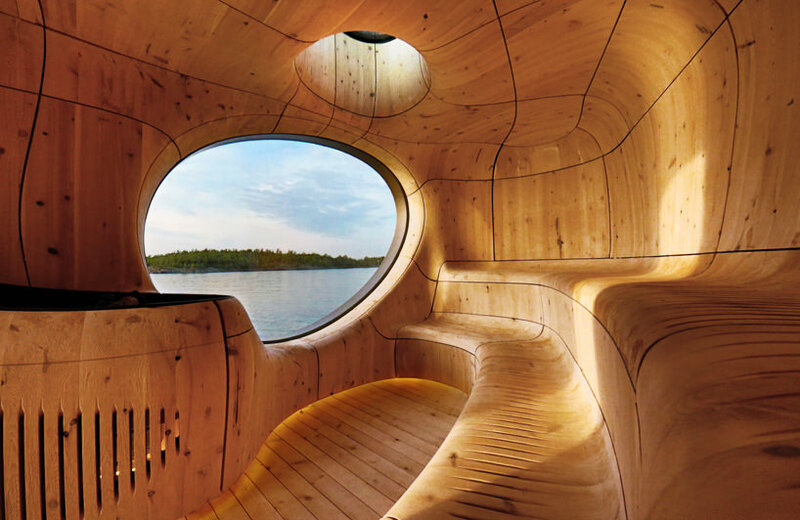 Saunas rarely seem to diverge from the prescribed design scheme of straight horizontal strips of timber: an unusual phenomena for such a luxurious frivolity. 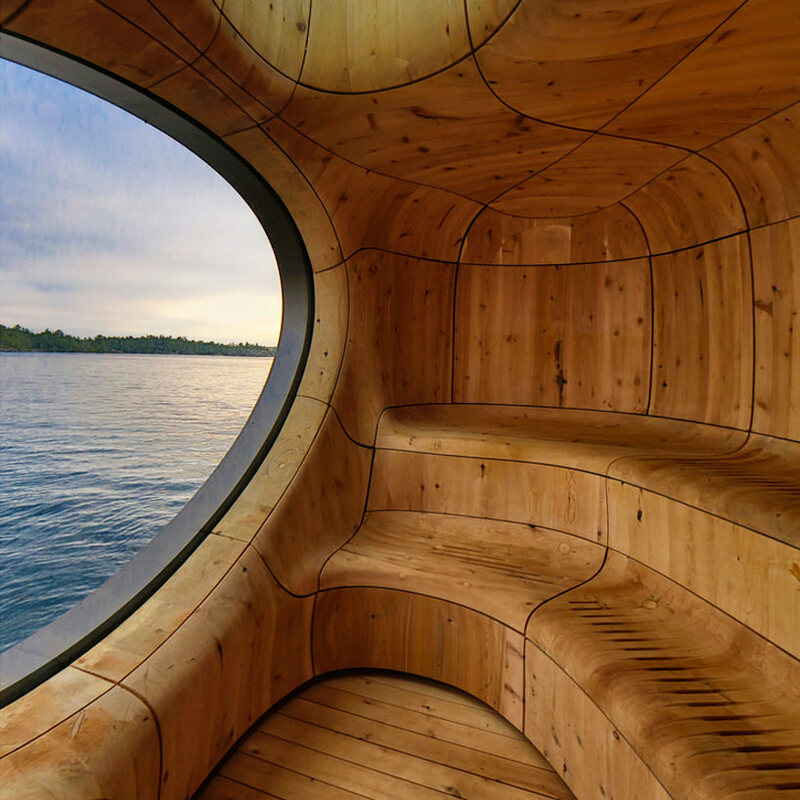 But PARTISANS Design Studio were having none of it, and created this bespoke cave inspired sauna for some of their Canadian clients. 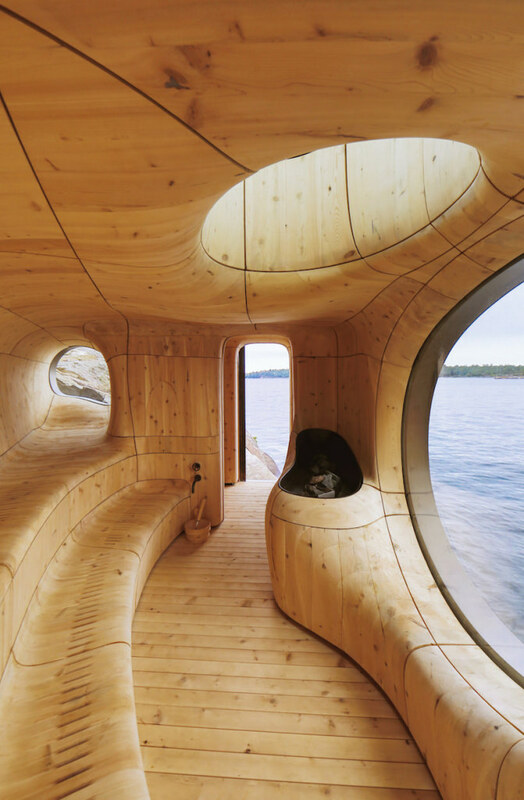 The Grotto Sauna instead features solid blocks of wood that have been hewn and smoothed so as to create rounded, cave-inspired walls. 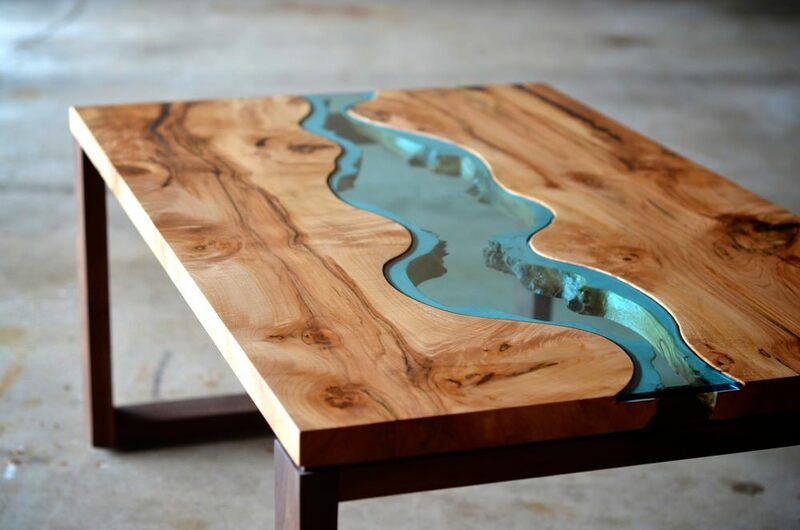 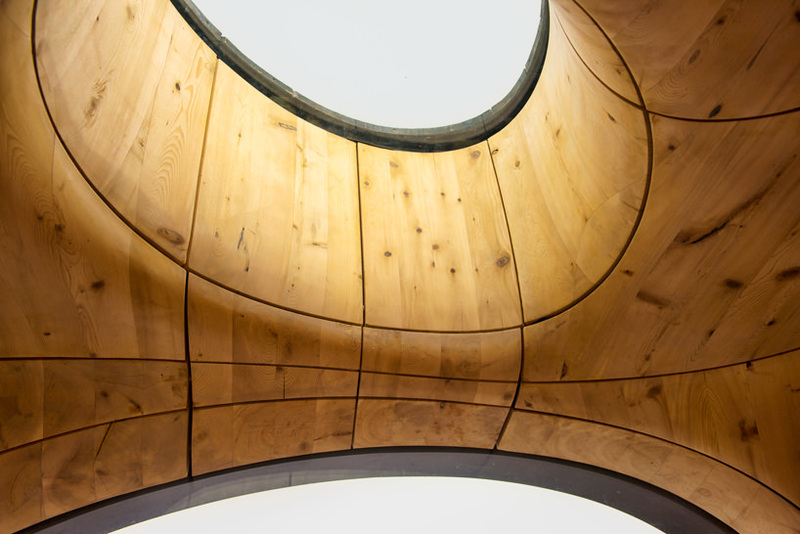 3D technology was required to scan and carve the wooden segments that make up this unique internal space. 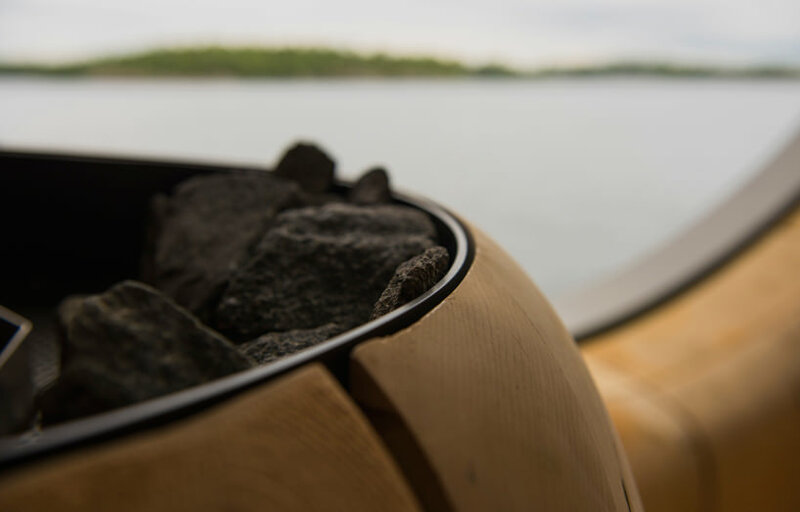 These sweeping curves are comfortable to sit on and also feature slits to allow the airflow offered by the gaps in traditional saunas. 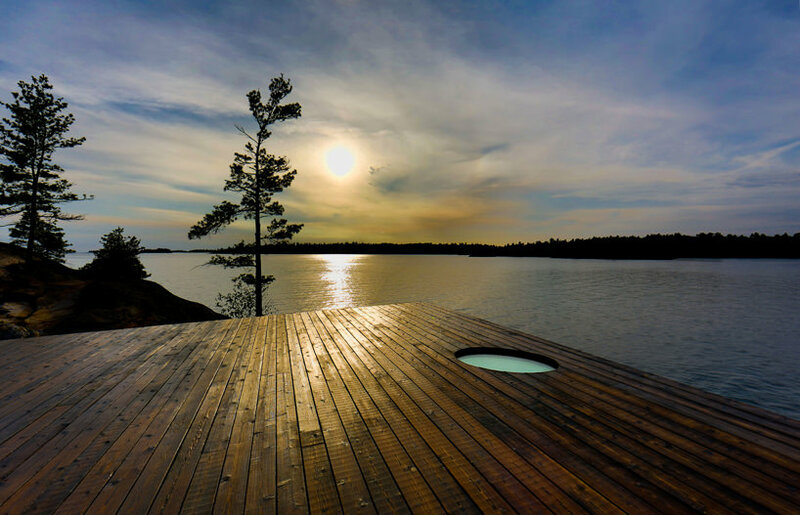 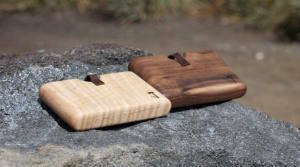 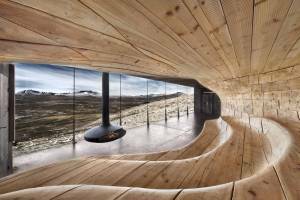 There’s a stark contrast between the gently undulating wood of the core and the somewhat rugged exterior of the sauna. 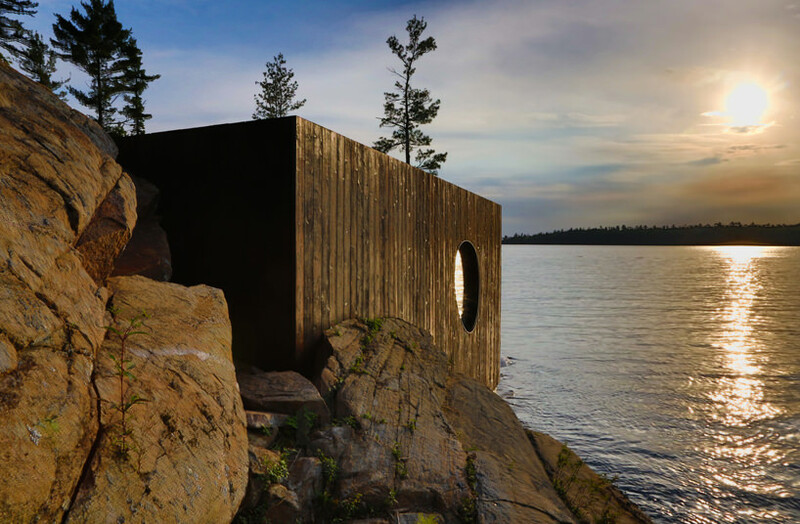 The gnarled dark timber cladding is the metaphorical bark of this most peculiar tree, and the rough surface blends perfectly with the rocky lakeside surroundings. 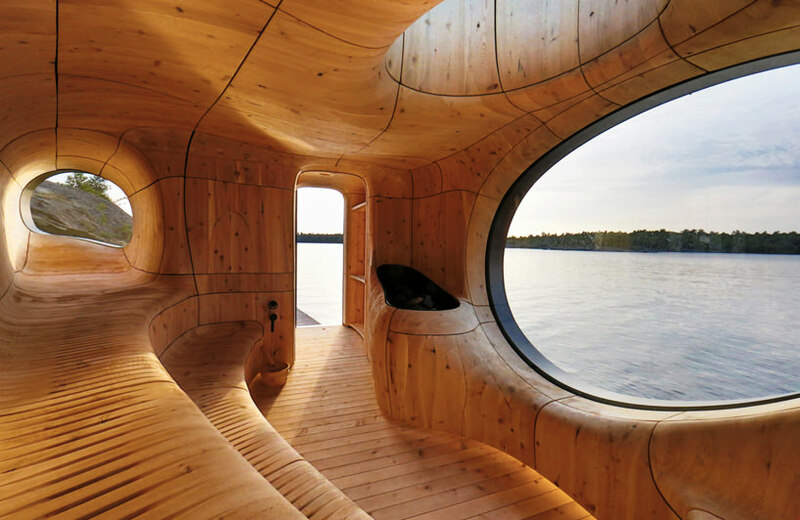 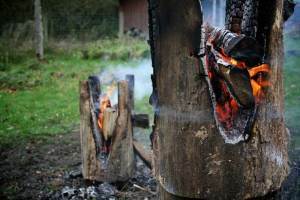 The curved segmented interior of Grotto Sauna is remarkably executed but we have indeed seen similar such wood carving techniques in the past. 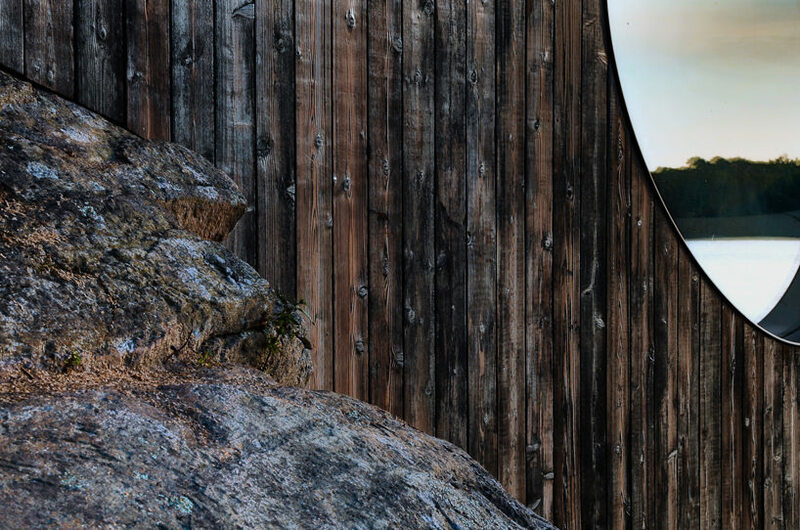 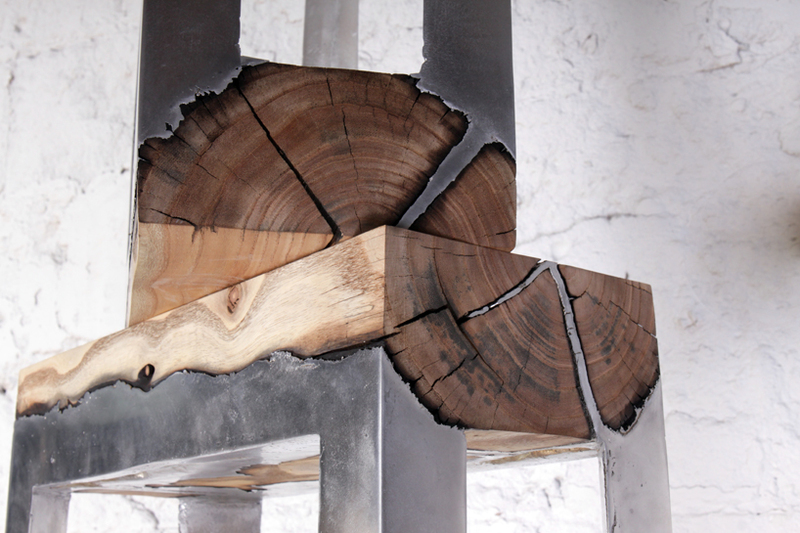 Hollowed solid timber is also featured Tverrfjellhtta Wild Reindeer Pavilion by Snøhetta as well as in the Transformations wood sculpture series by Jaehyo Lee.